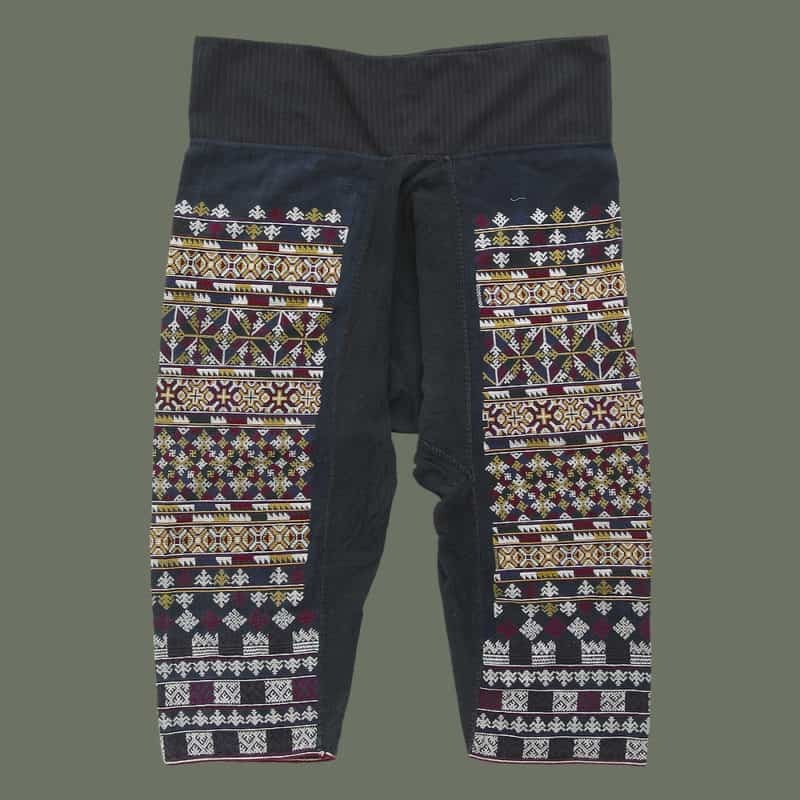 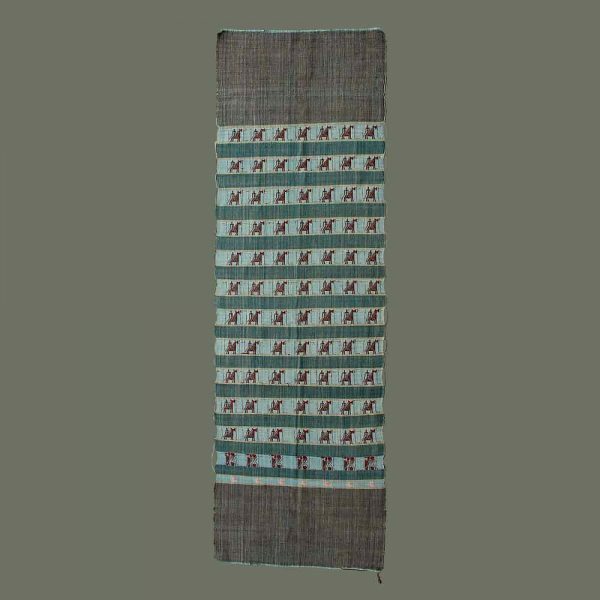 We were told that this unusual handwoven piece from Mae Chaem was intended as a traditional ceremonial scarf for the waist as worn by northern Thai men. 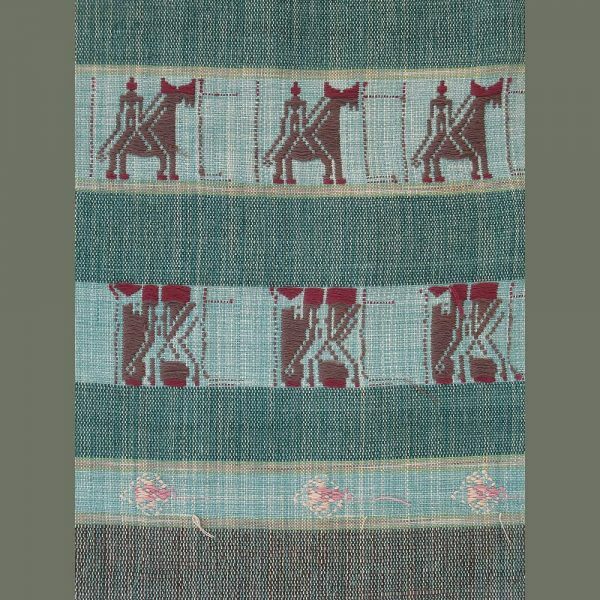 It includes twelve horizontal bands with the motif of horse and rider executed in ‘khit’, or continuous supplementary weft. 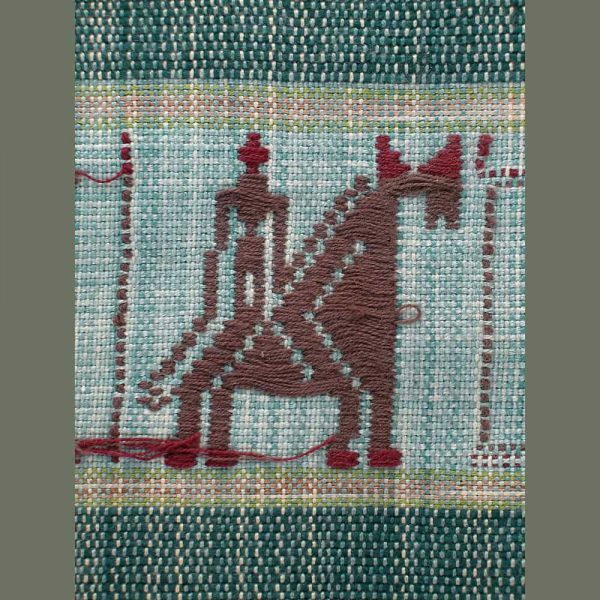 The background fabric is an attractive plainweave of variegated indigo and brown cotton wefts on light indigo silky warps. 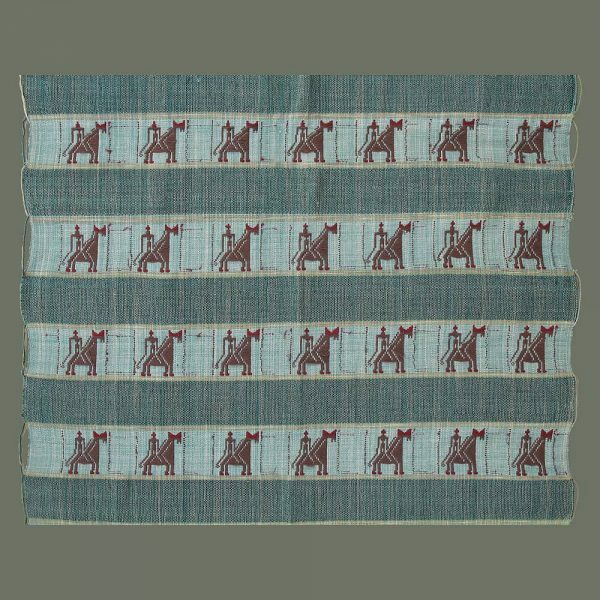 One little quirk is that the bottom line of horses, and a line with a floral motif, are woven on the wrong side of the fabric- the weaver changed horses in mid-stream, as it were. 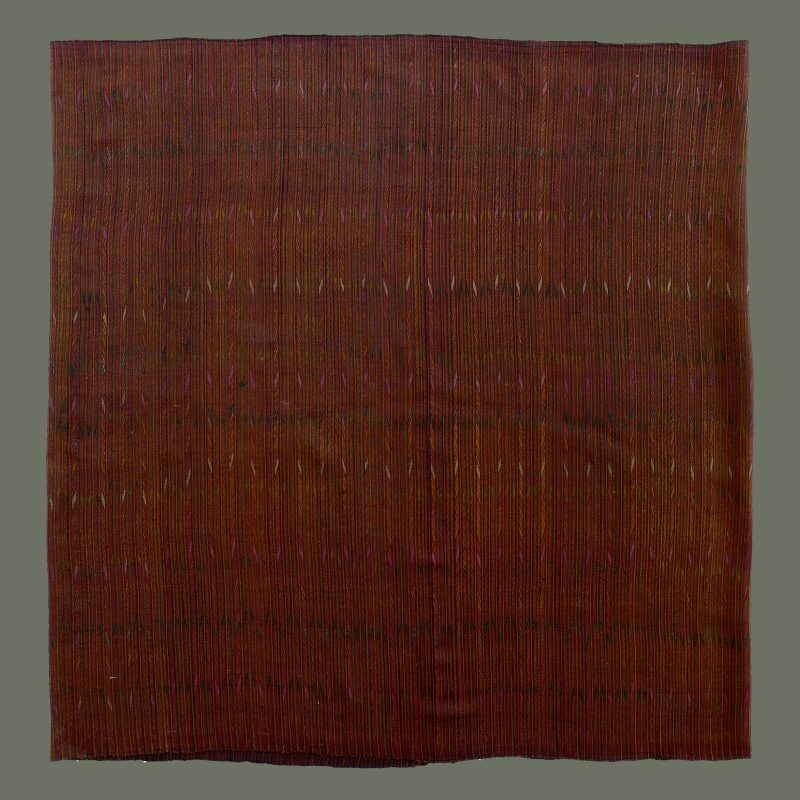 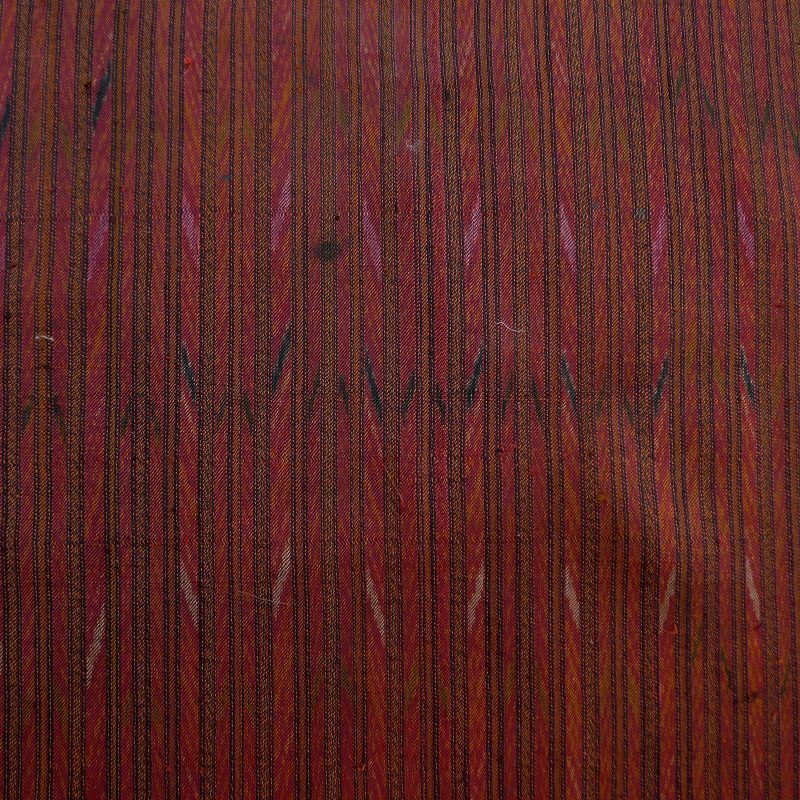 This fine modern weaving could display nicely on a wall, or table, or could be worn as a rather thick scarf, or shawl.